Blackmagic MultiDock supports up to 4 independent 2.5 inch SSDs so it’s possible to edit directly from the disks you recorded onto. Simply plug in your SSDs and they will mount on your Mac OS X and Windows computers like regular hard disks! 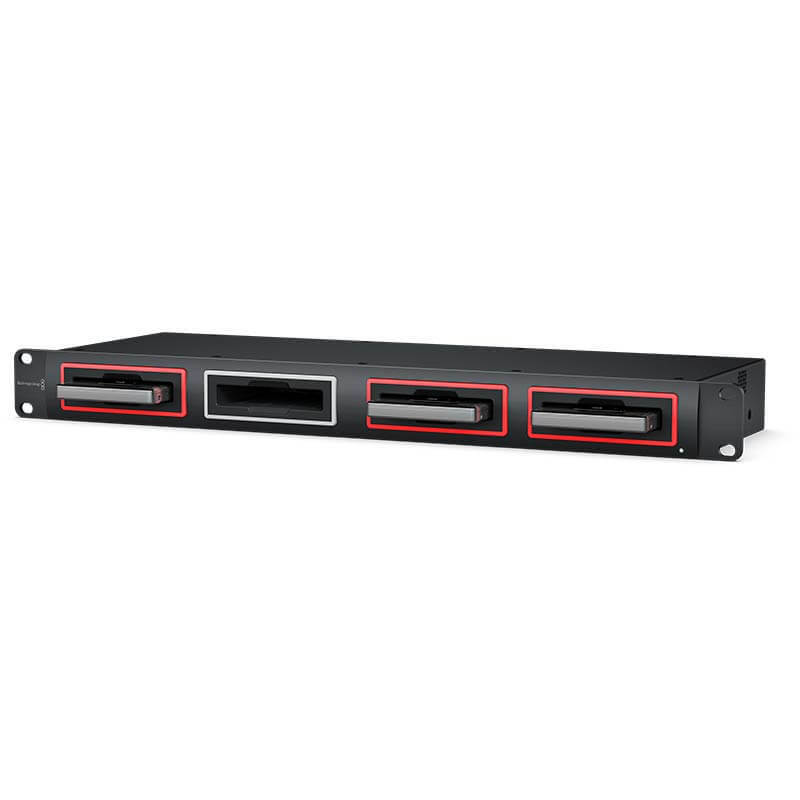 Because Blackmagic MultiDock features 4 independent disk slots, you can mount all your media from a shoot all at the same time! Blackmagic MultiDock 10G is perfect for accessing media recorded with the URSA Mini Pro SSD Recorder. It's also the perfect solution to add SSD compatibility to HyperDeck Extreme 8K as it will let you interchange disks between HyperDeck Studio models. You can even stripe multiple disks together for a super fast RAID array. 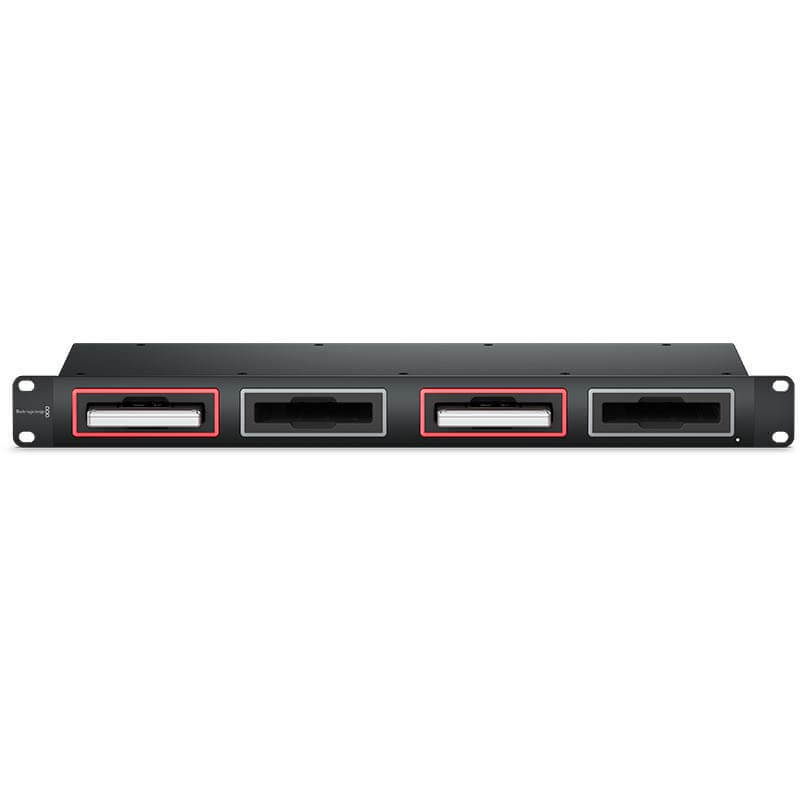 Between Editing Systems If you're working in large facilities, then Blackmagic MultiDock allows media disks to be relocated simply by unplugging the disks and walking to a new location. That eliminates slow file copying and there is no need for complex network storage. This means you get the flexibility to change and move workflow as your client demands. You can even take your job from an editing room into a dedicated DaVinci Resolve color correction room and then move to a larger theater style room when your client arrives to review your job. 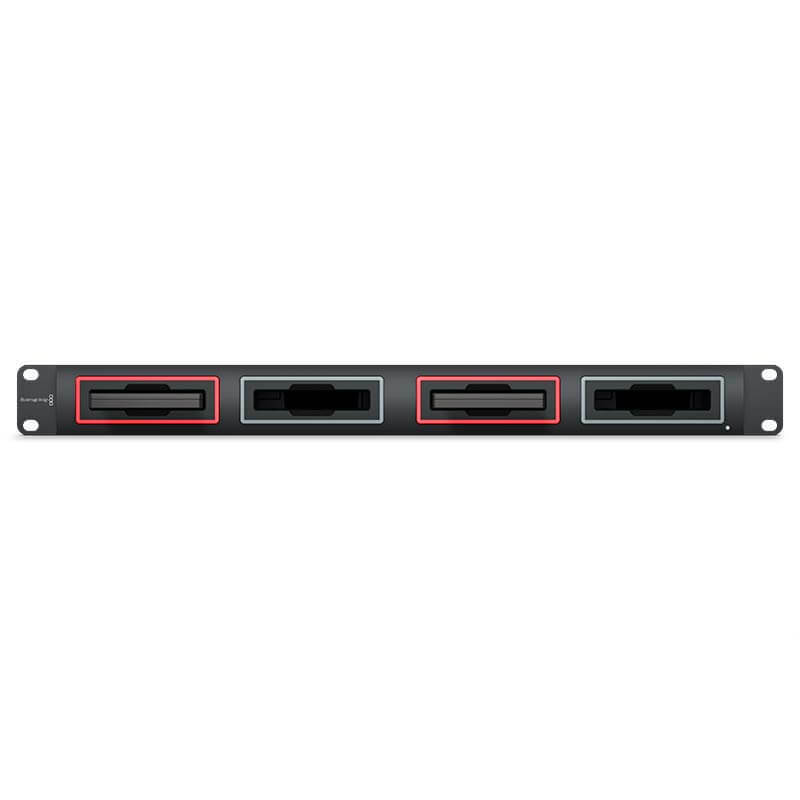 With instant unplugging of media you eliminate clunky devices hanging off cables plus you can always access the disks right from the front of the rack equipment.